Discussion in 'News & Announcements' started by ChrisTurk, Nov 14, 2017. 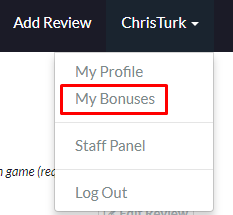 I added a small feature so you can quickly manage which Requesters have actually paid out expected bonuses on TurkerView. For now its just for personal use, maybe one day it'll get tossed into the aggregate data, but I was getting annoying trying to do it through HITDB so I wrote this really quick. The layout/formatting isn't fantastic atm but I'll probably fiddle with it as I get a bigger list to see what works/doesn't. 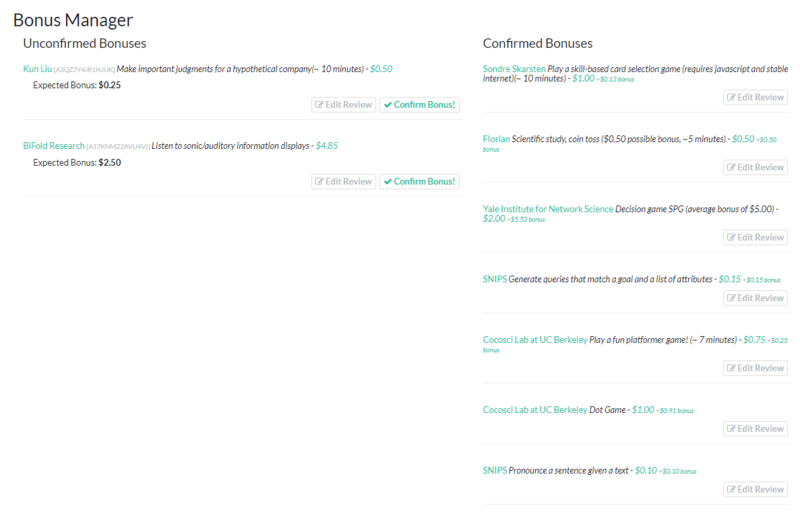 I noticed I had 2 bonus amounts that were different than expected (one higher, one lower) so YMMV. I had a suggestion for the bonus tracker. I wasn't sure where it should go, so this seemed as good a place as any. If it's possible/easy to implement it would be really nice if it showed the date you posted the expected bonus so that you had a better idea of when to start asking the requester about it without going and finding the hit in your history. Putting an @ChrisTurk on this so you see it.